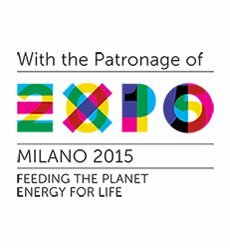 The University of Milano-Bicocca is organizing with the patronage of EXPO Milan 2015 and The Scientific Committee for Expo 2015 24 International Summer School Programs dedicated to the theme of EXPO Milan 2015. Situated in Milan (Italy), one of the chief economic drivers in Europe, the University of Milano-Bicocca profits from its stimulating environment as a great opportunity for personal growth, study, and work. Young, dynamic, and multi-disciplinary, this University has created an extensive network that includes several world-famous universities, research centers and top corporations. Among its qualities, the University of Milano-Bicocca offers 71 different academic programs (Bachelor, Master, PhD) within the fields of Economics and Statistical Sciences, Law, Medicine, Psychology, Sociology, Natural Sciences, and Educational Sciences. The Summer School links three elements qualifying EXPO2015 – Italian land, the development of the related resources in a responsible way, and ICT, as a condition of global development, for its ability to go through space and time, and to improve reputation and image while increasing awareness of a place. The Summer School is committed to discovering the natural and cultural places we live in, and intends to offer an overview of some excellences in the Lombardy region (Italy) and in the Ticino region (Switzerland), with a particular focus on sustainable tourism and UNESCO World Heritage Sites. A combination of lectures, cases, site visits (including EXPO2015), workshops and group-works will be provided, so to ensure high engagement and retention by all participants. Visit the Summer School section in the organizer’s website – Università degli Studi di Milano Bicocca. Contact us at summerSchoolICTsustainabletourism@unimib.it or unescochair@usi.ch for any question. The Summer School is organized in collaboration with the EXPO2015 and the Univerità delgli Studi di Milano Bicocca; it is supported by Apindustria Brescia ¦ Comunità Montana di Valcamonica ¦ Confagricolture Lombardia ¦ Fondazione Monte San Giorgio ¦ IFITT – International Federation for IT and Travel & Tourism ¦ Incubatore di Impress di Valcamonica.